The purchase of a vehicle is an important investment and like any investment, it should be protected. CARMAX AUTOGUARD, assures you of peace of mind and protects your investment with the most comprehensive Service, Preventive Maintenance & Repair Package available in the industry. One Yearly Price per vehicle, which covers ALL Manufacturer Suggested Servicing & Preventive Maintenance plus All parts and Labour for Vehicle Repairs including Suspension, Electrical, AC, Engine, etc. CARMAX AUTOGUARD is committed to giving you every option you may need to get maximum value from your vehicle. 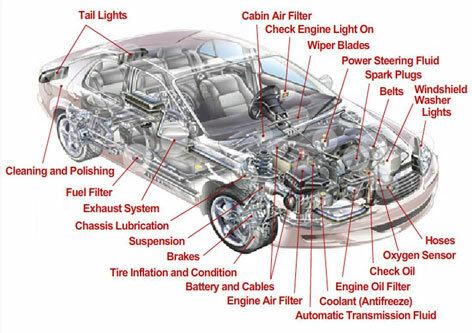 At the same time we promise to provide the highest level of service in the industry while managing the optimum condition of your vehicle. The CARMAX AUTOGUARD protection program is a Value Package for great savings and peace of mind (Mechanical & Financial) as it allows you to lock in your vehicle maintenance cost for the year barring any inflation.